The Dentist's Choice is the industry leading franchised network of locally owned dental handpiece (i.e. low and high speed drills) repair and service businesses serving dentists nationwide. Recognized by Entrepreneur Magazine as ranking Number One in dental handpiece repair, quality repairs at an affordable price and quick turnaround time are hallmarks of The Dentist's Choice. 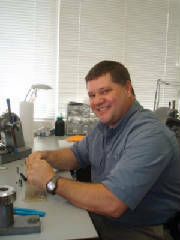 We are a service driven company with the repair and maintenance of our customer's handpieces our singular focus! Simply put.... The Dentist's Choice is the smart handpiece repair choice for dental professionals.